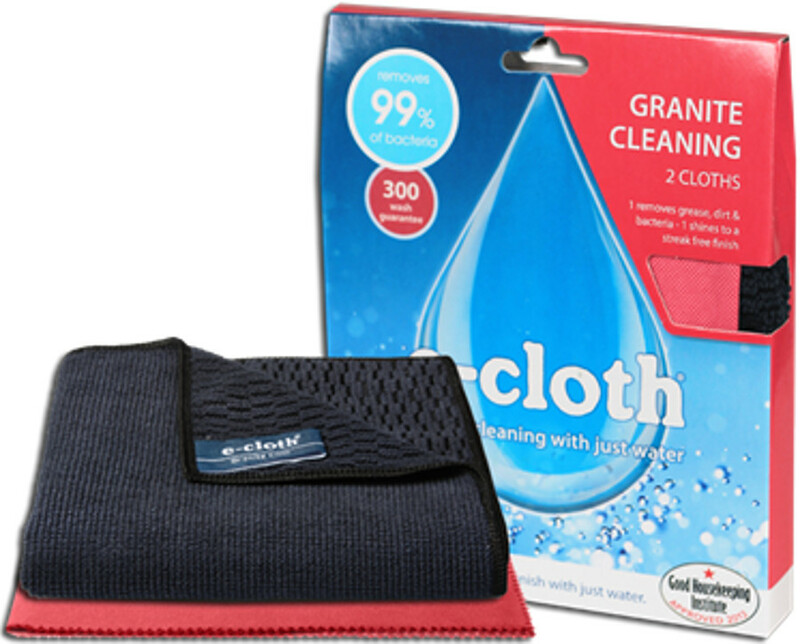 The granite pack from E-Cloth is the ultimate cleaning solution for granite work tops. All you need is water to remove stuck-on dirt and grease, leaving the counter sparkling without using any chemical cleaners. Included in the pack is a granite cloth with a non-abrasive ribbed side to effortlessly remove thick grease, grime and bacteria from granite work surfaces while the smooth side will remove any remaining grease and bacteria. There is also a polishing cloth with a specialist fibre construction and weave that increases the speed at which moisture is absorbed , removing the lightest grease to leave the granite completely streak free. Great for ceramic, enamel, glass, chrome and stainless steel. The E-Cloth Cleaning System offers a simple, yet highly effective environmentally friendly way to clean the whole home. The cloths will clean even the thickest grease and dirt from all hard surfaces including stainless steel, glass, chrome, granite, plastics, mirrors, marble, hard wood and laminate flooring - all just using water. The E-Cloth Granite Cleaning - Pack Of 2 product ethics are indicated below. To learn more about these product ethics and to see related products, follow the links below. 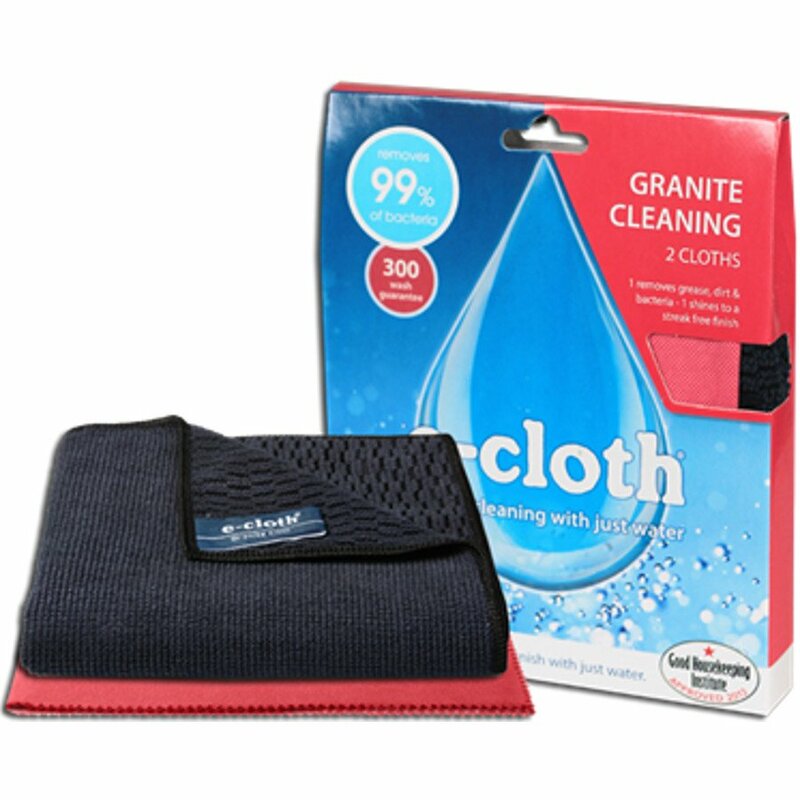 There are currently no questions to display about E-Cloth Granite Cleaning - Pack Of 2.